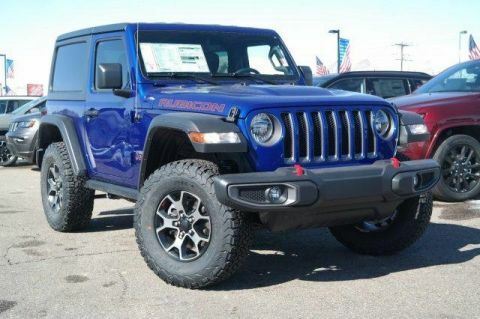 Only 8 Rubicon models left in stock! Heated Seats, iPod/MP3 Input. 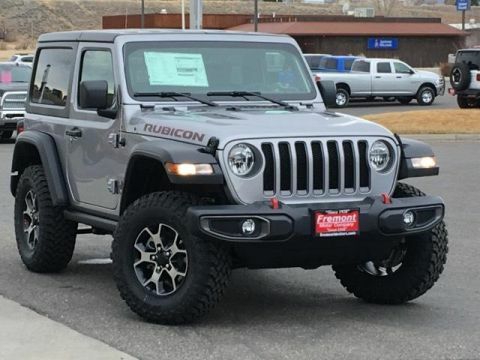 Sting-Gray Clearcoat exterior and Black interior, Rubicon trim. FUEL EFFICIENT 25 MPG Hwy/23 MPG City! CLICK ME! 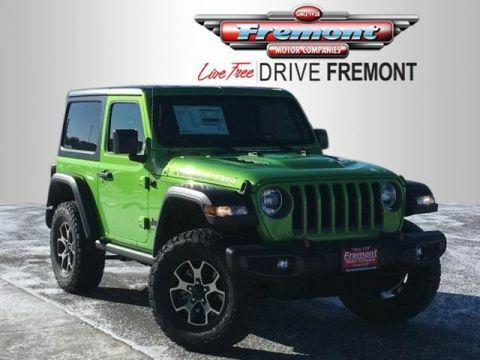 4x4, Back-Up Camera, Satellite Radio, iPod/MP3 Input, Bluetooth, Aluminum Wheels, Dual Zone A/C, Brake Actuated Limited Slip Differential, Smart Device Integration MP3 Player, Privacy Glass, Steering Wheel Controls, Rollover Protection System, Heated Mirrors. 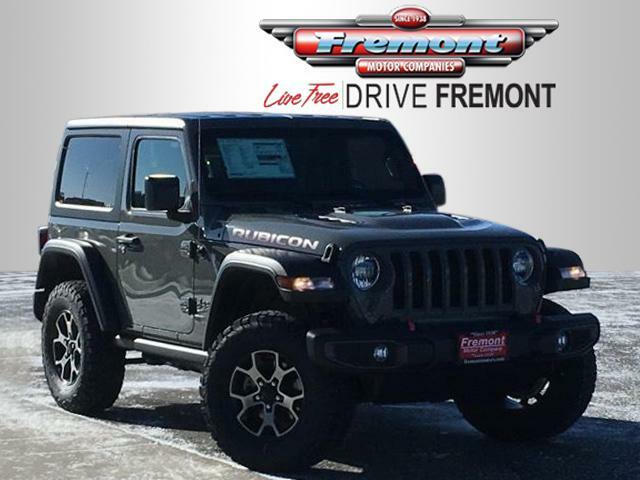 TRANSMISSION: 8-SPEED AUTOMATIC (850RE) Hill Descent Control, TIP Start, BLACK 3-PIECE HARD TOP Rear Window Defroster, Freedom Panel Storage Bag, Rear Window Wiper/Washer, No Soft Top, ENGINE: 2.0L I4 DOHC DI TURBO ETORQUE 600 Amp Maintenance Free Battery, Delete Alternator, GVWR: 5,350 lbs, 48V Belt Starter Generator, COLD WEATHER GROUP Heated Front Seats, Heated Steering Wheel, TRAILER TOW & HD ELECTRICAL GROUP Class II Receiver Hitch, 240 Amp Alternator, 7 & 4 Pin Wiring Harness, 700 Amp Maintenance Free Battery, Auxiliary Switches, REMOTE PROXIMITY KEYLESS ENTRY. 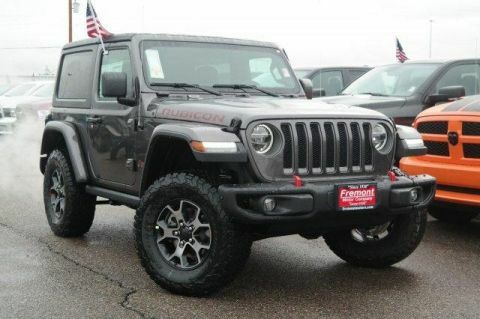 Jeep Rubicon with Sting-Gray Clearcoat exterior and Black interior features a 4 Cylinder Engine with 270 HP at 5250 RPM*. This vehicle comes with Fremont Care.